Competition in getting jobs among Malaysians is increasingly fierce. Many people have examined this issue from different perspectives. Every year many students graduate from public or private institutions of higher learning. In 2016 alone, approximately 3 million students in Malaysia graduated with a bachelor’s degree. This research applies constant market share (CMS) analysis to identify the competitiveness between 11 states in the employment market in Peninsular Malaysia. CMS analysis is commonly used in the applied studies of export development. 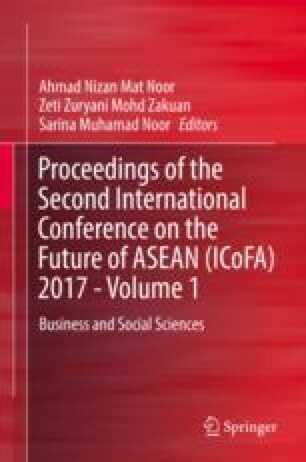 This research also analyses the changes in total job opportunities in Malaysia. The information obtained using CMS analysis may help job seekers and fresh graduates to identify which states offer the highest number of job opportunities and higher chances of getting jobs. This study consists of three data sets of years, which were from 2000 to 2001, 2008 to 2009 and 2014 to 2015. The results show that Kedah, Perak and Selangor have the highest number of job opportunities during 2000–2001, 2008–2009 and 2014–2015, respectively.